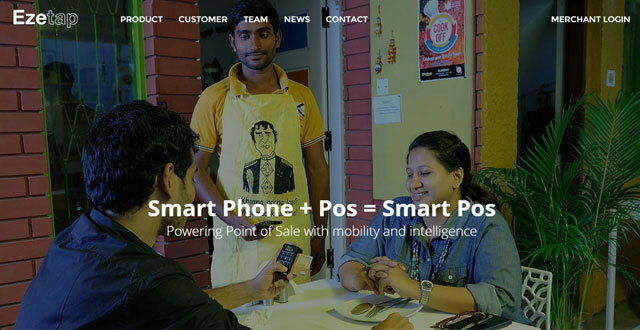 Mobile payments service provider Ezetap Mobile Solutions Pvt Ltd has raised Rs 150 crore ($24 million) in Series C funding from existing investors The Social+Capital Partnership, Helion Advisors, Berggruen Holdings, Horizons Ventures and other investors. Ezetap will use the money to expand its employee base and increase the number of Point of Sale (POS) devices deployed across the country to 200,000 over the next 12 months from 60,000, as per a press statement. As part of the transaction, Chamath Palihapitiya, founder of Social+Capital, will become the chairman of Ezetap's board. Palihapitiya was an early Facebook executive who made it big with the social networking site's initial public offering. "Our vision is to be the most preferred, lowest cost and universal platform through which businesses transact and engage with their customers. This funding, along with Chamath's active guidance, gives us the fuel to help Ezetap realise our vision and massive potential," Ezetap founder and CEO Abhijit Bose, said in the statement. Ezetap had earlier raised an undisclosed amount in funding from AngelPrime in 2012. It also secured Series A funding from Social+Capital, Peter Thiel and others in 2013. In February last year, it raised $8 million from Helion, Social+Capital and Berggruen Holdings. Bangalore-based Ezetap was founded in 2011 by Bose and Bhakta Keshavachar (CTO). The Ezetap solution turns any merchant's mobile device into an intelligent point of sale that is able to read all cards and complete a full spectrum of financial transactions, including credit card sale, real-time bill payment and ATM cash withdrawals or deposits. It currently counts Myntra, Bajaj Allianz, SBI and Just Dial as customers. Bose has a MBA from Harvard Business School and a BS from Cornell University. Bhakta, who is an alumnus of Arizona State University and worked with Intel Corp previously.